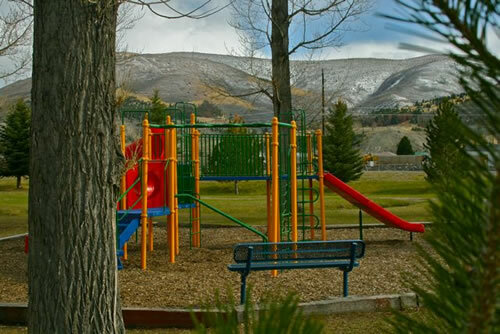 Washoe Park has much to offer and is the perfect place to take the kids. Warm Springs Creek flows through the park. There are swings, a baseball field, a duck pond, public pool and there is also a fitness center. The trout hatchery is at the east end of the park. 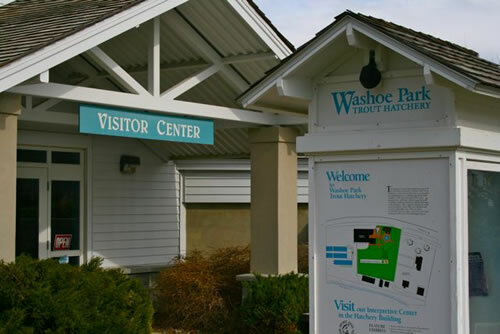 A visitor center provides interesting information about trout and various stages of life from egg to spawning adult. 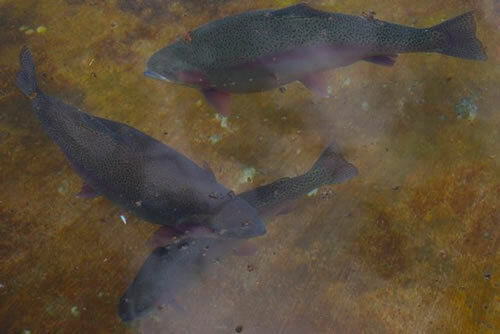 Out front is a circular tank that holds several giant rainbow trout, many of them over 20 pounds. Directions – Turn North on Main Street, then take a left on Pennsylvania. The park will be on your right.